The Energy Transition Law officially announced on 18 August last year will enable France to make a more effective contribution to countering climate change and reducing its energy dependence by balancing its sources of supply more effectively. This law contains many provisions affecting communities and urban centres in terms of energy, mobility, housing and the circular economy. 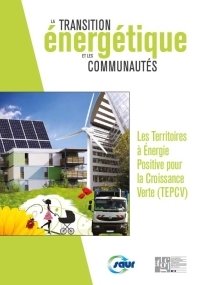 To help them, the Association of French Community Chief Executives (the ADGCF) has published a guide to the Law on Energy Transition for Green Growth (TECV) prepared in conjunction with the Saur Group. With 215 articles, changes to more than 30 legal codes and the forthcoming publication of around a 100 governmental decrees and orders, the Law on Energy Transition for Green Growth puts the community/region pairing at the heart of the process of delivering the energy transition at regional level. While the international community expresses its delight at the historic agreement reached by all 195 parties at the COP 21 climate conference in Paris last December, individual regions must now identify the resources and systems that will allow them to achieve these ambitious goals in practice. These regions are confronted by twin changes in the French energy system that began around 15 years ago: the deregulation of Europe’s energy markets and the increasing importance of regional-level energy management. The challenge facing local authorities today is that of designing and implementing new ways of ensuring the supply of energy in ways that serve local development. The methodological guide designed by the ADGCF in partnership with the Saur Group is intended to help local councillors to take control of their own regional energy policy. It brings together the expertise and feedback of many local authorities. As a long-standing provider of outsourced public services, the Saur Group is committed to playing its full role in helping communities to fulfil their new environmental responsibilities. This commitment is delivered via a multitude of local solutions for clean energy generation, including the recovery of biowaste from wastewater treatment processes and the degradation of waste in landfill facilities. The Association of French Community Chief Executives (Association des Directeurs Généraux des Communautés de France or ADGCF) brings together the chief executives of joint communities authorities, municipal authorities and urban authorities. Created in 1992 and supported by the community movement it helps to promote, the ADGCF is committed to raising the profile of a unified movement of inter-community professionals and promoting a constructive vision of inter-communal projects. The ADGCF is an independent association with a membership of around 700 inter-community chief executives in 2012.